The fourth theatre on this site since restoration times, the Theatre Royal Drury Lane was built in 1812. 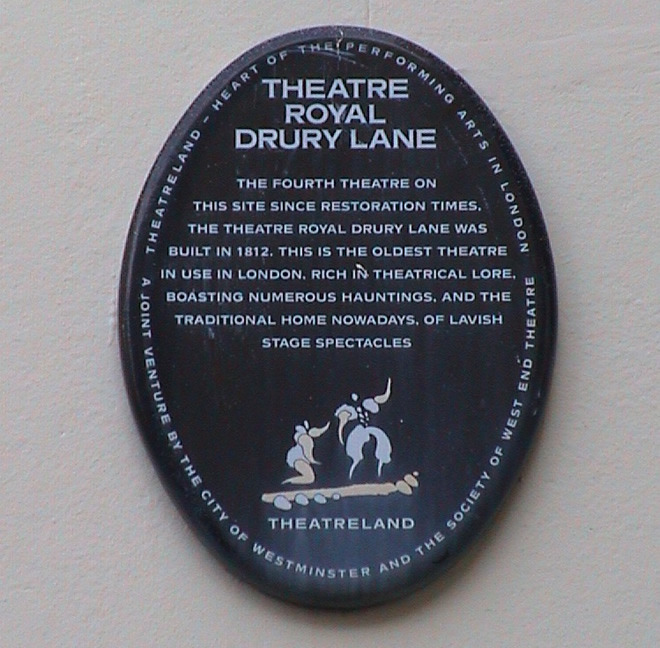 This is the oldest theatre in use in London, rich in theatrical lore, boasting numerous hauntings and the traditional home nowadays of lavish stage spectacles. The SWET plaque is to the right of the Harris monument, just out the picture. See Musee de la Resistance for more information on this plaque (in French).